Voodoo Brewing offers an array of award-winning beers. Photo courtesy of Voodoo Brewery. Business & Tech News, City Design, Eat. Drink. Do. Voodoo Brewery wants to cast its boozy spell beyond Western Pennsylvania. 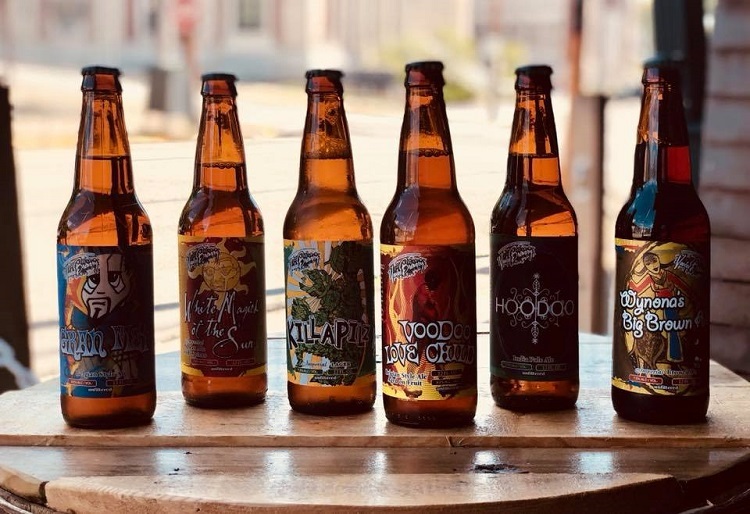 The Meadville-based beer maker recently launched the Voodoo Franchise Group, allowing individuals the world over to own and operate one of the company’s quirky brewpubs. There currently are Voodoo locations in Meadville, Erie, Grove City, Lancaster, Homestead and in Concourse C of the Pittsburgh International Airport, with small-scale satellites occasionally popping up in places such as Conneaut Lake Park. Each location is different — with some serving locally-sourced grub — but they all maintain Voodoo’s quirky, industrial style while pouring its award-winning beverages. Franchises that open through the new pub expansion program won’t be cookie-cutter places either, Voelker says. Beer will continue to be produced at the Meadville production facility, which opened in 2005 and now distributes to 10 East Coast states and a handful of sites overseas. Voodoo Brewery management will assist pub owners with site selection and build-out, staff training, initial inventory, software programs, proprietary operating systems and marketing and sales. While Voodoo fields its fair share of inquiries about franchising, it spends an equal amount of time reaching out to community leaders near and far. “Brewpubs can bolster a community economically as well as in other ways,” says Voelker, who was recently on a panel for a NEXTpittsburgh event on that very topic. 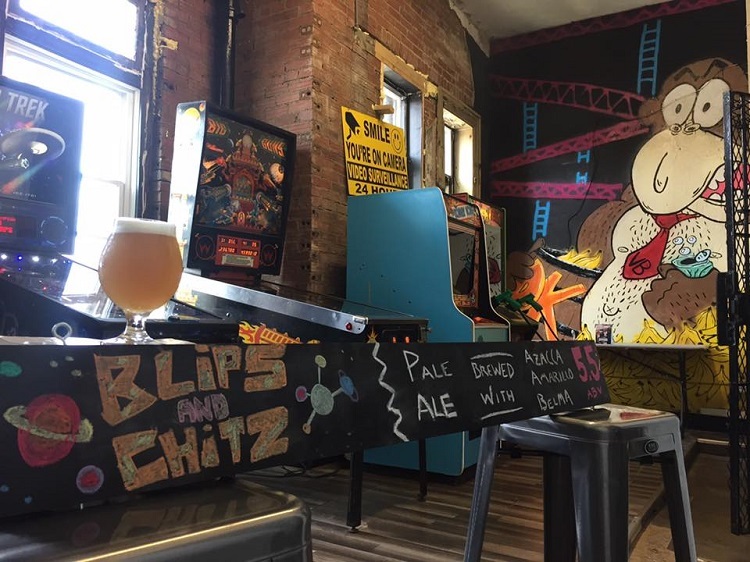 Located in a former fire and police station, Voodoo’s Homestead pub features exposed brick, pinball machines and chalk art on the walls and ceiling. Photo courtesy of Voodoo Brewery. The company launched its first brewpub in Meadville in 2012 and the concept immediately took off. 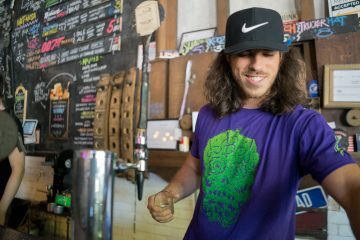 Customers were drawn not only to the beer, including flagship favorites such as Voodoo Love Child, Good Vibes IPA and White Magick of the Sun, but to the colorful, eclectic atmosphere. In 2016, Voodoo transitioned to an employee stock ownership plan that enables eligible workers to own stock in the company.